Chemically speaking, nothing distinguishes a pleasant smell from an unpleasant one. 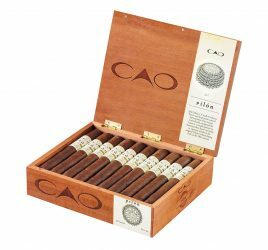 Why, therefore, do some people say that cigars “stink”? You barely need to perceive an unpleasant odor to elicit an immediate reaction of disgust. Whether the source be a dog, a toilet, or a cigar, the response to this type of stimulus will always be stronger than to the exhalations of freshly baked apple pie. A molecule is a molecule, but for you to detect it, it must be volatile and water soluble. In his recent book (Les Parfums du vin : sentir et comprendre le vin, Delachaux et Niestlé, 2013), Richard Pfister defined 150 aromas, which he divided into 10 main groups, each subdivided into 19 further sub-groups. Yet despite multiple criteria, he never refers to “good” or “bad” smells. And none of the previous odor classifications, going back to Linné’s work published in the 18th century, make the slightest allusion to this distinction between good and bad smells, which one might think is a question of common sense. The ancient Greeks already distinguished pleasant smells (euôdia) from unpleasant smells (dysôdia). This distinction is eminently variable, depending on the civilization, the culture, and even the individual. Two lay people smelling the same wine may provide very different descriptions, even if said wine is completely dominated by rotundone, the molecule that gives Syrah wines their peppery notes. The first might say “I love this wine,” whereas the second might find it terribly rustic. In blind tests, a scent as common as orange blossom, widely used in pâtisserie, is only appreciated by half the population; a quarter doesn’t like it at all, while another quarter is indifferent. Less than half the population is able to identify it. Intensity also plays a key role: some scents are extremely popular in small quantities and rejected in high doses. Studies also show that the body detects unpleasant smells more quickly than pleasant ones. According to the University of Montreal’s Center for Neuropsychology, the nose reacts more quickly to the smell of rotting fish (1,300 milliseconds) than to the smell of an orange, for example (1,700 milliseconds). The same is true for sight: an angry face in a sea of smiling faces is detected more quickly than a smiling face among angry faces. This is an ancient legacy; our brains have evolved to give priority to the perception of danger. The influence of culture is also well established: an experiment carried out in Lyon in 2009 showed that the smell of mint tea generates stronger electrical impulses in the brains of Algerian natives than those of Europeans. Another example, French people may find the smell of camembert pleasant whereas a Japanese person would find it very unpleasant. This olfactory triage takes place in one of the brain’s primary sensory areas, well before we are consciously aware of what the smell is. However, although the sense of smell responds more quickly to unpleasant aromas, it also forgets them quickly. This might seem paradoxical, but it makes sense as we must be ready to detect new odors in case of danger. This habituation enables certain people to work in what one might imagine are difficult circumstances, like sewers, but which prevents them from developing a vocabulary for it. 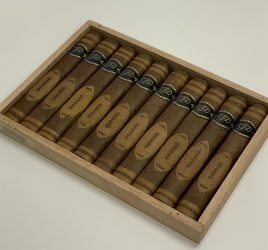 A regular Partagas or Cohiba smoker is often incapable of citing their distinguishing characteristics because they are unable to recall them. Describing smells is a real cognitive challenge. Unpleasant (and pleasant!) 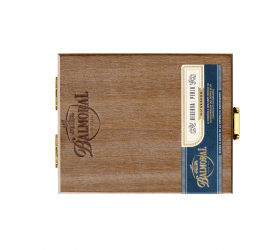 smells can be found in both wine and cigars, and this same issue of habituation is a problem for so-called gamey or barnyard notes in particular. For a long time, these aromas were thought to derive from the terroir, as illustrated by the Burgundy climat of Les Renardes. However, recent studies show that they are actually created by a Brettanomyces yeast, generally referred to as Brett. Its role in beer production has been well known for nearly a century (hence its full name, Brettanomyces bruxellensis), and it also gives red wine (it is not found in white wine) its “phenolic” flavors; commonly defined using more negative descriptors like “leather” and even “Tomcat urine”. In fact, as shown in the work of Pascal Chatonnet, yeast is very opportunistic and develops during fermentation: it can, therefore, affect all fermented products, including cigars, where it is often present in the cold draw. The analysis of many wines has shown that nearly a third are affected and that this proportion is increasing. This proliferation poses a real problem, because phenolic flavors are extremely dominant, and when they do dominate, you can forget about recognizing a wine’s origin (Bordeaux, California, Burgundy, etc.). Farewell also to the variety (Syrah, cabernet, tempranillo), which will only be indirectly perceptible through the levels of acidity or alcohol. This flaw is overwhelming the distinctive character afforded by the terroir and, against all expectations, certain consumers are even becoming keen on it, still for the same reasons: a defect is perceived more quickly than a quality. Indeed, many other minor and major flaws are appearing in wine and cigars. In some you can find reduced or amylic notes, rancid butter, or oxidation. In others, greenness, firmness, notes of mold or ammonia, and gamey hints, of course. A flaw confessed is half redressed.